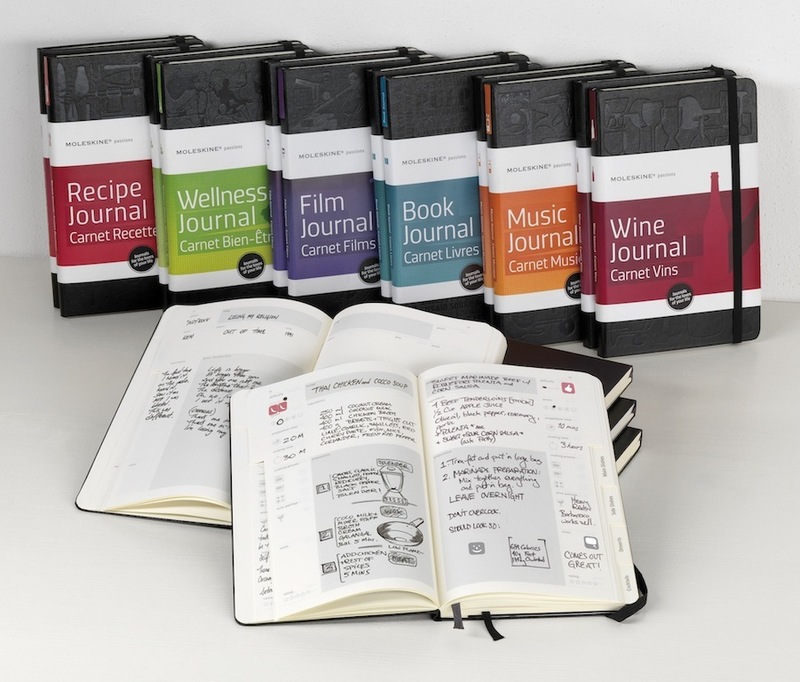 Moleskine unveils a new thrilling collection of journals that celebrates passions as a way of life. The launch of the new collection comes with the start of a new inspiring exhibition: “Share the loves of your life” with Moleskine Passions, held at Fully Booked bookstore at The Fort in Taguig City on March 26, 2010. Moleskine Passions Exhibition focuses on the 6 themes of the new collection of journals: Book, Film, Music, Recipe, Wellness and Wine. It creates a unique cultural exchange with the exclusive participation of creative talents, celebrities and icons from the whole region. Over 150 specialists and celebrities in Asia will share the loves of their life and reveal their creativity through notes, drawing, clipping…The passions notebooks created by the participants are showcased in March on Moleskine Asia website www.moleskineasia.com and in over 60 spots in 12 Asian cities. I wonder why there is no Moleskine Passions notebook for Art and Theater. [If they need my help, I can help them conceptualize the notebooks for them.] Of all the six themed Moleskine Passion notebooks, the ones that speak close to my heart are: Book, Film & Music. If you have a penchant for documenting details and writing journals like me, Moleskine Passions is a must-have! Believe me, your heart will leap for joy flipping through the pages and see what you can accomplish with the things you love the most. Fully Booked brings part of the inspiring works to the audience in the Philippines. Artists and specialists from the Philippines have also been invited to share their passions on the new Moleskine notebooks. The participants have been asked to share their passions as a response to one of six themes of the Moleskine Passions collection according to the different page layouts. The creative works will be organized in a “giant Moleskine notebook”. During this event, participants might surprise you by responding to a passion, which might not be their usual field of expertise, but for which they might have an original insight. Audience will have the chance to peruse all the creative responses on each theme from all the different participants, creating a unique patchwork of drawings, notes, memories, and tips. Writing book or movie reviews, sharing cooking tips...recording and sharing your passions has been on your to-do list for a long time, but it always remains on the list year after year. The new Moleskine Passions collection provides just the right tools for you to take the first step and start the habit to record and share your passions. Moleskine Passions journals enable users to neatly collect information and reviews about new recipes, books they read or books people suggest to them, concerts they attend, dishes they tasted, films they see or they want to see...and to share this information with others. Each journal includes a set of different page layouts, with themed calendars, glossaries, listings, and a core part of alphabetically organized and tabbed pages to fill in. All Passions journals come with a different series of themed stickers and icons, for page customisation. On the back end paper there is a double pocket, for clipping, ticket and card collection. The classic Moleskine elastic band keeps everything closed, tidy and neat. For more details please visit www.moleskineasia.com.